Suggesting that the annual music festival will now have even more opportunities to be rained out, next year’s Lollapalooza will extend to four days instead of three. That comes from The Chicago Tribune, which reports that this extra day has been added in honor of Lollapalooza’s 25th anniversary and it will allow the organizers to book 170 bands. Also, Lollapalooza reportedly hasn’t cleared this extra day with Chicago for any years beyond 2016, so this four-day thing might only happen once. Seeing as how the tickets always sell out in an instant, though, the fact that this will certainly make a shitload of money will probably grease some of the city’s famously greaseable wheels. Speaking of a shitload of money, the Tribune also notes that ticket prices for Lollapalooza in 2016 will be going up to accommodate this extra day. The four-day passes will be $335, up from $275, while a single-day ticket will be $120 instead of $110. Presumably the extra $10 there is how much it costs to have the privilege of knowing that you’re attending one day of a festival that lasts four days, because otherwise it comes across as being a bit greedy. And nobody organizing a huge festival would be greedy, so that can’t be it. 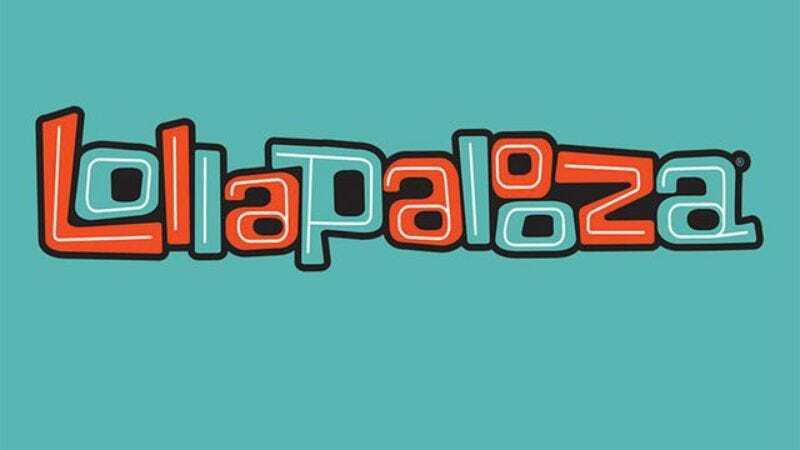 Lollapalooza will be held from Thursday, July 28, to Sunday, July 31.